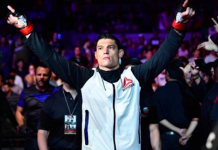 The UFC’s February 24 return to Orlando, Florida, is expected to grow by one awesome welterweight matchup, as a bout between the ever-entertaining Alan Jouban and the venomous finisher Ben Saunders is apprently in the works for the card. This bout was first reported by Farah Hannoun on Twitter. 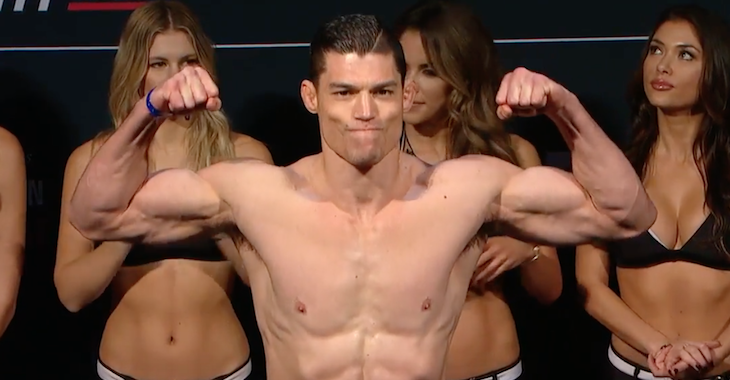 Jouban will enter this fight on a two-fight skid, having recently been stopped by Gunnar Nelson and Niko Price. Saunders, meanwhile, recently succumbed to Peter Sobotta punches, which marked the end of a two-fight win-streak. 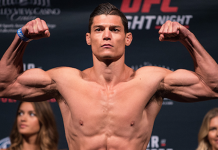 This Alan Jouban vs. Ben Saunders booking joins another recent addition to the UFC Orlando lineup, as the promotion recently announced a lightweight scrap between grappling specialists Gilbert “Durinho” Burns and Olivier Aubin-Mercier. Gilbert Burns is currently riding high off a violent, second-round knockout of Jason Saggo. This win was preceded by a decision loss to Michel Prazeres. Canada’s Olivier Aubin-Mercier, meanwhile, is currently on a three-fight streak, having recently bested Thibault Gouti, Drew Dober and Tony Martin. This card will also include a women’s strawweight bout between former title challengers Karolina Kowalkiewicz and Jessica Andrade. While this UFC Orlando card currently has no headliner, we know that recent UFC middleweight title challenger Yoel Romero is hoping to fill that void. Given that this card will broadcast on Fox, it would not be surprising to see Romero and several other big names included on the bill. Who do you think wins these newly announced Alan Jouban vs. Ben Saunders and Gilbert Burns vs. Olivier Aubin-Mercier fights? 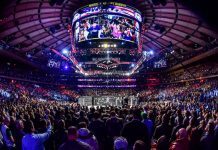 This article first appeared on BJPenn.com on 19/12/2017.